The developers of the 28-sto­rey WG Friendship Plaza on McGregor Road, Suva have suffered a setback. The building’s marketing and sales agent, Bayleys Real Estate (Fiji) Limited, has withdrawn from its role, citing “unacceptable” pur­chase terms. 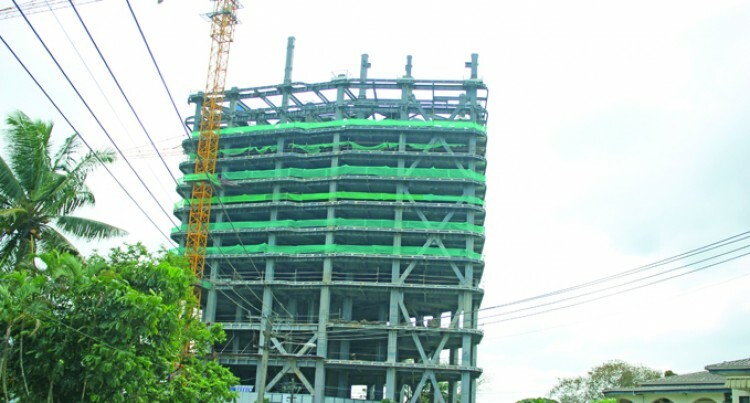 Developers WG International Real Estate Co. (Fiji) Limited, a lo­cally-registered Chinese company, say the two could not agree on con­tractual terms. Bayleys managing director/part­ner Philip Toogood says the firm could not ask purchasers to meet the demands of WG International. “We were not happy with the terms of the purchase,” Mr Too­good said, referring all other ques­tions to the developers. When contacted, WG Internation­al spokesperson and project vice-general manager William Wu said Mr Toogood had no time to attend meetings. But Mr Toogood has rejected the claim. “It’s got nothing to do with being busy – I’ve attended 12-15 meeting since February,” he said. The 28-storey building is going to feature premium apartment blocks, office spaces and a luxury hotel. Construction is forecast to com­plete in 2019. Mr Wu says they will now market the building on their own. Bayleys pulling out has added to WG International’s series of chal­lenges. In a July interview, Mr Wu said cultural barriers, shortage of skilled labour and lack of support from Government departments had affected construction. Mr Wu also said the company is running $10-20 million over-budg­et.